When buying a home, there is no doubt going to be many different thoughts racing through your mind. Obviously, you'll be consumed by actually finding a great home for a price that you can afford. Once you close the deal and sign the contract, are your worries done? Not quite! In fact, before you even move into your new home you need to pick up the phone in order to call a professional locksmith. The reason? You need to have all of your locks changed! Let's dig into this topic and explain why your home security is non-existent until you address your locking mechanisms. Alright, you are probably asking yourself why you need to hire a locksmith when moving into a new home. After all, you should be the only person that the landlord/former owner gives their keys to, right? If this were a perfect world then yes, you'd likely be the only person with keys that can access the locks on your home. However, we do not live in a perfect world and as such there are some precautionary measures that need to be taken. When you move into a new home, be it a house or apartment, you are likely not going to be the first person to ever live there. This means that the former owner had keys, and whoever lived before them had keys as well. Compound these keys changing hands or being duplicated by a locksmith and suddenly you have no clear idea as to how many copies of your keys are floating around. We don't lay out this information in order to make you panic. Instead, we are merely pointing out the objective truth: you need to be wary when moving into a new home because your locks are not perfectly secured. So, what can a locksmith do for you? Rekey Your Home - The most obvious solution to your potential lock issues is a simple rekeying. A professional locksmith, like the team at Glenferrie Locksmiths, can come to your home and rekey the entire property. Install New Locks - If rekeying doesn't sound like your cup of tea, you can have entirely new locking mechanisms installed on all of your entrances. Completely new locks will mean that you have the only keys that can access the interior of the building. Don't let anything slip by you when you move into your new home. 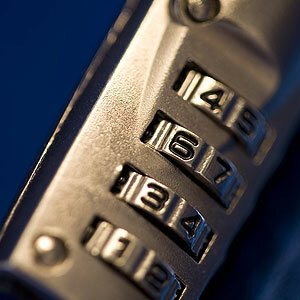 Call Glenferrie Locksmiths today in order to make sure that your home is safe and secure for you and your family.